With all the hard work and dedication that goes into maintaining quality grades, scholarly Schoolcraft students deserve a place of fellowship with other learners and Schoolcraft’s own chapter of the Phi Theta Kappa (PTK) honor society is just that. PTK is an international honor society for two-year colleges that focuses on the pillars of scholarship, leadership, fellowship, and service. It is open to all Schoolcraft students with 12 credit hours and a 3.5 GPA or better. There are two types of memberships offered to those eligible for PTK; general and par excellence. The general membership has a one-time only fee of $110 that guarantees lifetime membership, as long as standards are maintained, and requires no service events. The par excellence membership also requires by a $110 fee, and has an additional requirement that members must earn at least six stars, which are achieved through events and fundraisers through Phi Theta Kappa. Each PTK meeting attended counts as ¼ of a star for members and every $50 raised for fundraisers contributes one star as well. Once par excellence members reach this goal and earn six or more stars, $35 of the original fee will be refunded back to them. Once an application and fee are sent in to PTK headquarters, new members will receive a PTK pin and seal to be placed on their degree, as well as a sash for graduation and a cord for all par excellence members. Becoming eligible for the group requires years of hard work, but the benefits definitely make membership worth striving for. “I love the community PTK has,” said society Vice President Kim Tuttle. “Everybody wants to participate.” And that is exactly what the group does. Not only do members take part in volunteer work around the community, they grow a close bond with fellow members through activities and events as well. “I have made best friends that are going to stay with me for a long time” Vice President of service Hassein Zabihian said. Schoolcraft Society President Sarah Osen agreed. 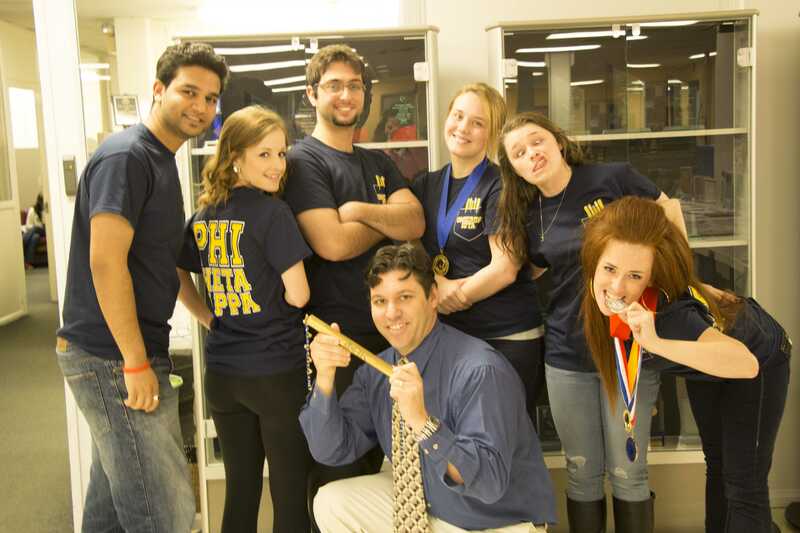 “Without Phi Theta Kappa, I wouldn’t even know half of the people that I do, and that’s my favorite part,” she said. Collectively, the group participates in events throughout the year such as attending St. Leo’s Soup Kitchen once a month and promoting the LAC seminars to help with fellow students’ academics. Due to this, members are able to easily obtain the necessary stars for service as well as flourish in fellowship, leadership, and scholarship. “Scholarly activities are a really great way to achieve enlightenment among each other,” Osen said of the group, thus encouraging students to get involved and get to know the rest of the society. Along with the moral gain of helping the surrounding community, members of PTK recieve personal benefits as well. With fundraisers, scholarships, and fellowship amongst the group, members have access to more scholarships, letters of recommendation, recognition of membership on transcripts, leadership skill programs, and a general step up on the competition in life. Todd Stowell, Student Activities Director and Advisor to Phi Theta Kappa, recognizes the importance of the chapter to community colleges as well. 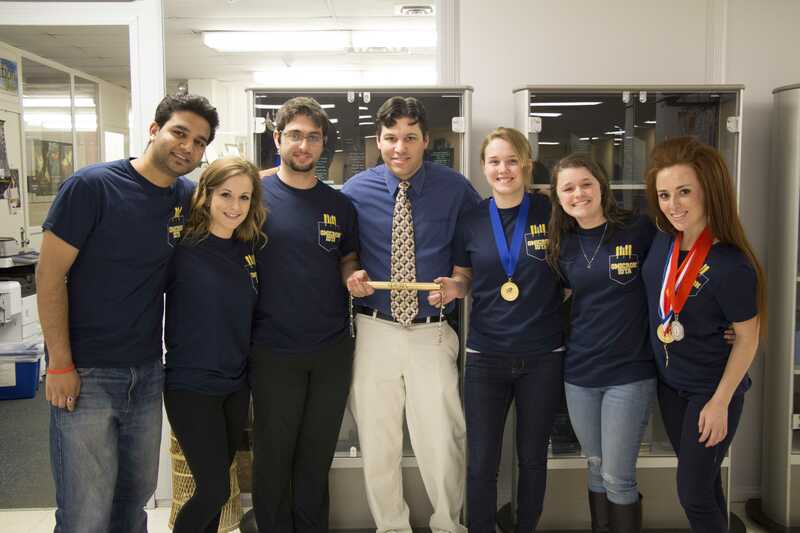 “Phi Theta Kappa chapters, and more importantly the members and officers that comprise the chapters, provide an invaluable service to both campuses around the country and organizations in the community,” he said. On April 19, Phi Theta Kappa inducted a fresh set of members into the group, and the organization does not show any signs of slowing down. Through volunteer opportunities, fellowship events, and bright ideas for the future, the group continues to advance in all pillars. Providing opportunities moral and social gains, all those involved in PTK attest to its positive influence not only on the individual level, but for the entire community as well.